Death Watch 2011! Snow update! WTF Edition!! It is snowing SIDEWAYS out there, my interweb friends. SIDEWAYS! 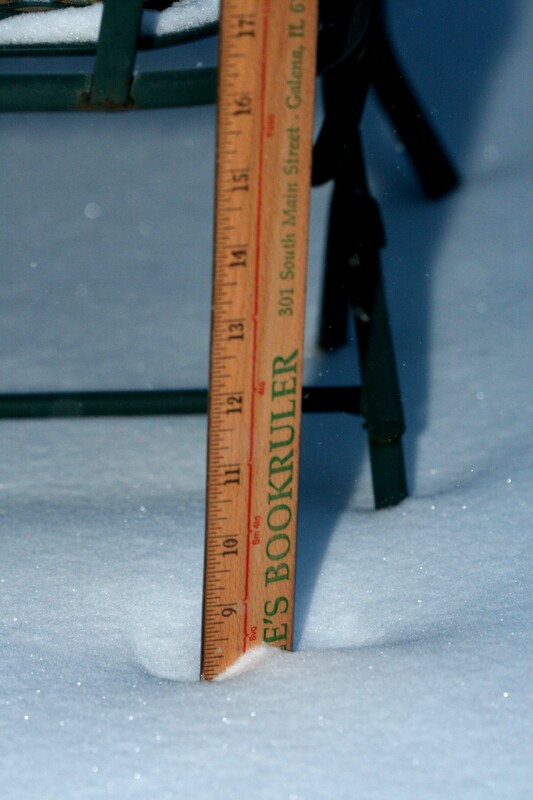 The winds are practically grabbing the shingles off the roof, but still my ruler reads less than 9"?!?! Methinks something is afoot… Something DASTARDLY! Something FOUL! Worse, methinks the d@mn house is blocking the snow only from the area our official depth detector is placed! Woe is me. Woe is me. Previous Post Death Watch 2011! The GREAT SNOW TO END ALL SNOWS!! 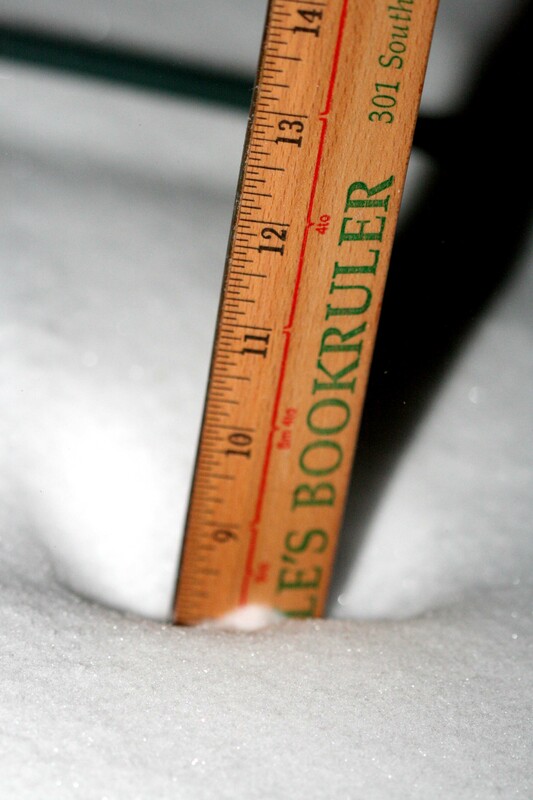 Snow update! Next Post Death Watch 2011! Midnight Report!